The custom of remembering the dead goes back to the early days of the Church. Tertullian writing in the third century spoke of an intermediate place of rest where that faithful waited until the final judgement. In the same century there seems to have been some idea of deceased Christians who need some form of purification before seeing God. From the eleventh to the thirteenth centuries, the feast spread throughout Europe and was finally adopted in Rome. The feast involves several beliefs: that some Christians, while dying in peace with Christ, might still need some purification; that the prayers and good deeds of the living help those who have died; and that there is an intermediate place between heaven and hell. r all the faithful departed and the third for the intentions of the Holy Father. The liturgy of the day is perhaps the best guide to the meaning of the feast: the readings point to Christ as the hope of the living and the dead and the liturgical prayers see new life in Christ as God’s promise that enables Christians to face death with faith and hope. 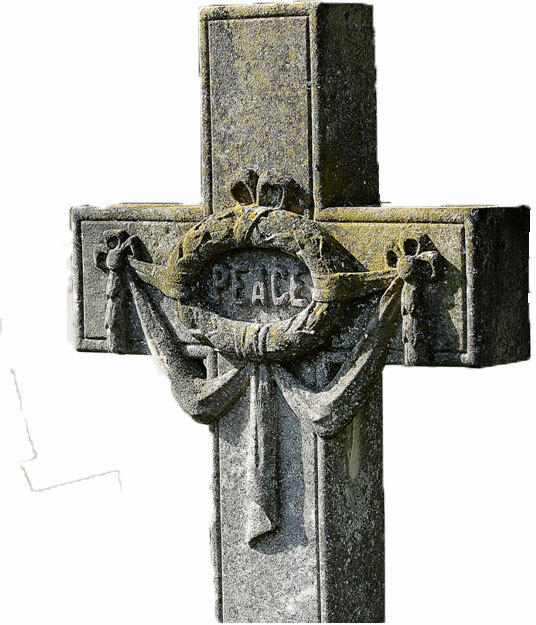 November traditionally is the month when Catholics remember the souls of the faithful departed in Purgatory through the celebration of additional Masses, announced on the Mass times page, and also through vespers of the dead and the blessing of graves in The Foynes Memorial Garden, Bicester Cemetery and at St. Mary's Church in Ambrosden. 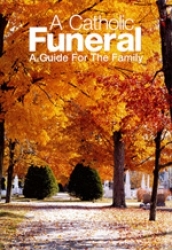 A Catholic Funeral - s comprehensive guide to all aspects of a Catholic Funeral - available from the Parish Office. John Ansell, Hannah Baggelly, Mary Theresa Ballie (2009), Teresa Batchelier (1997), Colin Biddle (1971), Ignacy Bogielczyk (1992), Annie Bottenelli (1982), Ann Boulton (1995), Mary Isobel Burnett (1998), James Byrne (1995), Mother Teresa of Calcutta (1997), Hubert Carey (1981), Mary Carey (1986), Michael Caroll (1970), Denis John Cashman (2006), Hector McNeil Cassidy (2009), James Cawley (1984), Valarie Reeves Charles (2011), John Copeland (2002), Thomas Cousins (19688), Zofia Derrer (2009), Felix Devereux-Cooke, Rev. Fr. Richard Dinnis (2007), Valerie Doherty (2016), Patrick Dowd, Archbishop George Patrick Dwyer (1987), Annie Emberton (1960), Violet Mary Evans (2000), Rose Ferns (1973), Raymond Finnegan, Thomas George Fisher (2011), Mary Formalski (1997), Gerald Gallagher (1984), Michael Hands (1973), Margaret Hanna (1997), Jeremiah Anthony Hannafin (2007, Alice Mary Harland (2008), Wasyl Hawryluk (1985), Mary Higgins (1987), John Hilman, Stanley Howes (2007), Vera Hyland, Anthony Christopher Hynes (1996), Ellen Hynes (1990), John Patrick Kearney (1971), James Patrick Kelly (2016), William John Kelly (2005), Mr. Kershaw (1976), Elizabeth Kershaw (1995), Elizabeth Laszlo (2006), Elizabeth Leonard (1999), Tadeusz Lewandowski (1974), Rev. Anthony Lobo (2001), Sam Lynch (2003), John Lynott, James McDermott (1973), Martin & Lena McDonnell, David McGarrity (1987), Hugh McGrogan (1998), William Maher (1982), Julia Patricia Malone (2001), James Marrs (1993), Richard Matthews (2009), Maria Matvienko (1993), Patrick William Mitchell (2006), James Anthony Moore-Martin (2004), Kathleen Charlotte Myers (2004), Patrick Mitchell (2006), Muriel Anne Neal (2002), Norman Newton (2001), Frances Niccolls, June Kathleen O’Brien (1999), William O’Connor (1991), Elizabeth Ann O’Sullivan (2006), Frederic ‘Frank’ Olah (2010), Stella Oliver (1983), Dominic Ostrowski, Marcelle Peasre (1997), Harold David Postnikoff (2003), Mary Margaret Proctor (2009), Janusz Rawicz-Szczerbo (2015), V. Rev. Canon Peter Reilly (2016), Sheila Reynolds (1982), Ann Ridgeway (1997), Winifred Evelyn Roberts (2007), Mary Elizabeth Rogerson, Jean Roycroft (2013), Alexander Thompson Scurfield, Timothy Sellwood, Alfred William Smith (2005), Emily Mary Ann Smith, Teresa Spiteri (1997), John Damien Standage (1984), Anne Thornley (1968), William Tomlinson, Sir Peter Trench (2006), Beatrice Ellen Vernon (1995), Charles Watkins (1986), Sidney Wallace, Patrick Watts (1999), Mrs. G.N.Wells (1981), Rev. Fr. Burton Whitehead (2013), Edward William Wilks, Stanley Duncan Wills (1972), James Wiltshire (1975), June Whittall (2017), Fred Worrell (1976), His Holiness Pope John Paul I (1978), the victims of the 9/11 terrorist attacks 2001.